activity for people with dementia. Sonas Sessions are carried out in an estimated two thirds of nursing homes nationwide. The sessions are led by staff who have completed Engaging Dementia’s accredited Sonas training. There are now more than 450+ Sonas Licensed Practitioners in Ireland. In an estimated 280 nursing homes nationwide. Emma Moorhead, Care Assistant, Bunclody Day Centre. Do you have a relative in a nursing home and would like if they had the opportunity to participate in Sonas sessions? Almost half of all nursing homes in Ireland are already implementing the Sonas Programme. Ask the Director of Nursing in the care centre in which your relative is living to find out if that nursing home is among them. St John’s Community Hospital, Enniscorthy. The Sonas Programme involves stimulation of all five senses, gentle exercise, relaxing music, singalongs and memory-focused exercises. Benefits for participants include improved mood, enhanced wellbeing and communication. Sonas sessions are led by Sonas Licensed Practitioners (SLP) with groups or on a one to one basis. The basic structure of each of the group and individual sessions is pre-recorded on a CD, freeing the Sonas Licensed Practitioner (SLP) to focus on each participant. The CDs are only available to those who have been certified as SLPs, having completed Engaging Dementia’s 3-day Sonas Course, and who keep their Sonas Licence updated with refresher training every two years. 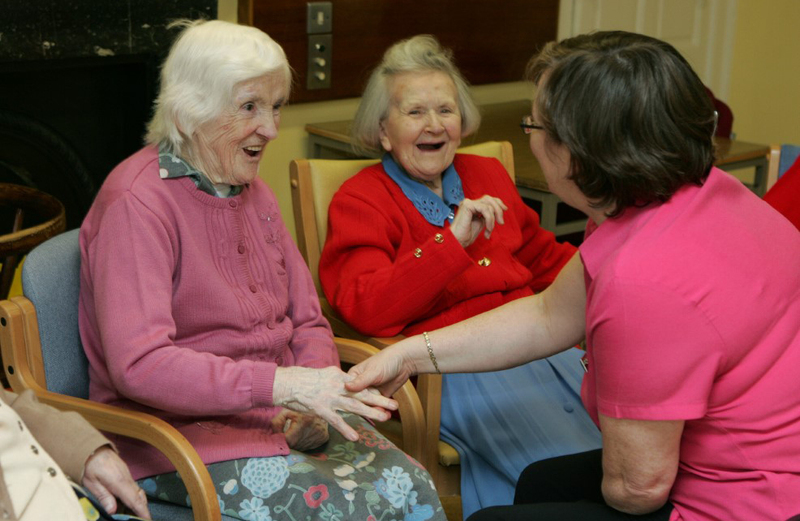 Sonas Sessions are most often carried out in nursing homes and day centres. The sessions are designed to be enjoyed by residents who have significant communication difficulties and who are often unable to participate in general group activities. Research has shown that Sonas sessions are especially beneficial for people with moderate to severe dementia.